Check Security Systems has a comprehensive choice of intruder alarms that will suit any kind of commercial or domestic premises. Offering peace of mind and security for your family or staff is easy when you fit an intruder alarm from Check Security. When crimes such as burglary or vandalism are reported in the newspapers there is often an increase in enquiries about intruder alarms in Manchester. Don’t wait until the worst has happened. Look at the many solutions that Check Security Systems can offer using professionally installed intruder alarms in Manchester. Check Security Systems has a wealth of experience in supplying and fitting intruder alarms in Manchester. Our team are available for consultations about tailor made systems both large and small. There is 24 hour monitoring and a rapid response to any alarm system that goes off. Intruder alarms East Sussex from Check Security Systems also provide an excellent deterrent to would be burglars or vandals. 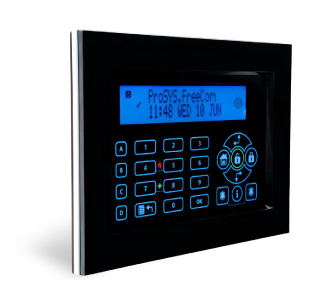 The highly trained staff at Check Security Systems will carry out a free no obligation quote for intruder alarms in Manchester. Many homes in the North West are protected using intruder alarms from Check Security Systems. Offering cost effective solutions and top quality products Check Security Systems is the first choice in the North West. We only supply the best quality intruder alarms in Manchester from leading manufacturers in the security industry. Installed discreetly and with a minimum of disruption, intruder alarms in Manchester are monitored day and night by trained operators to keep your premises secure. Contact Check Security Systems through our contact form for more details about intruder alarms in Manchester. Or, ring 0161 794 9500 for free advice about home or business security solutions.